I really believe that spices make a dish go from good to great. I am always looking for spices to add to my drawer… anything unique or just different from what I already have. So, during my recent travels, I was on the hunt. In Napa Valley, I found some rich and unique spices at the St. Helena Olive Oil Company. In a place where fruit comes directly from the land, I knew this store was going to be a winner. I bought four spices… fresh herbs de provence (which my mother swears by, and I do now, too), poultry spice rub, beef spice rub, and truffle sea salt. The truffle sea salt is something I have never seen before, and the rubs were intriguing to me because everyone puts something different in their own meat rub. This week, I couldn’t wait to try out the new spices. 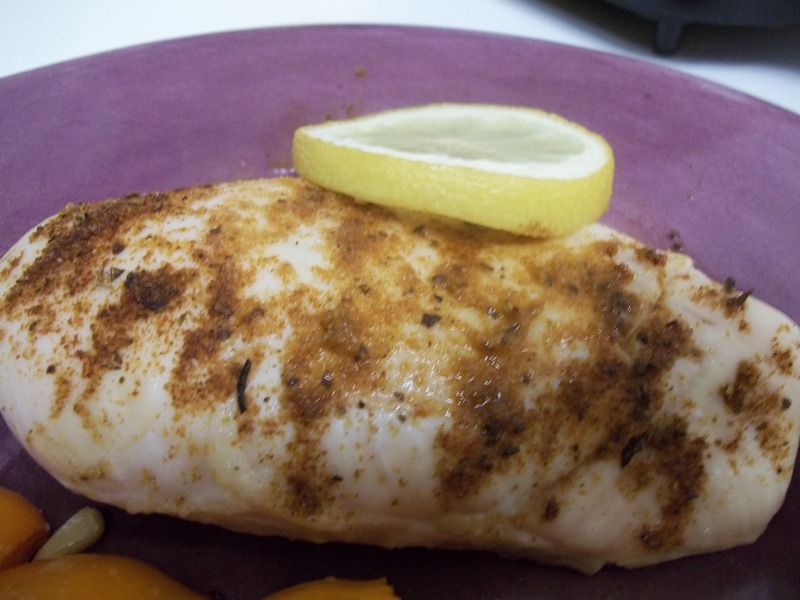 I cooked chicken breast simply… I put the chicken rub on the top of each chicken breast along with a slice of lemon, and baked for about a half hour at 375 degrees. The spices were so flavorful, I didn’t need to do anything else to the chicken. 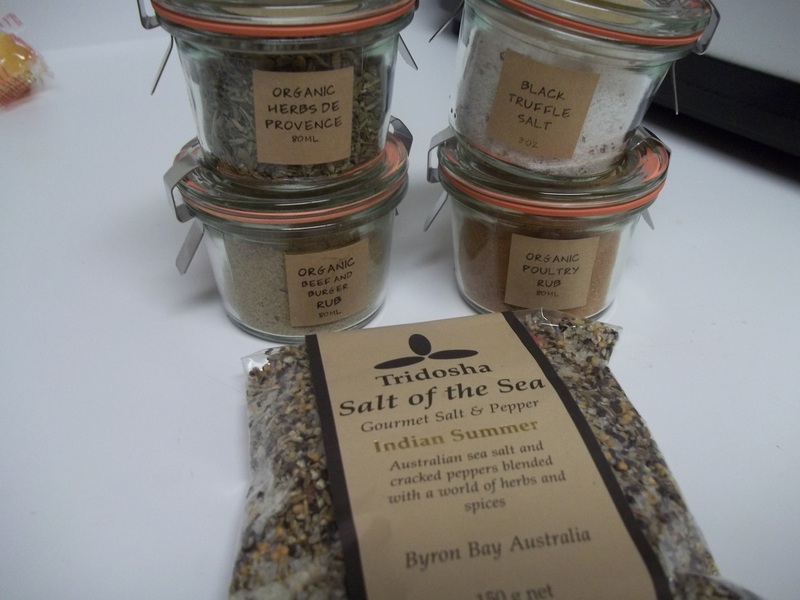 The ingredients are sea salt, garlic, onion, sugar, paprika, mustard, rosemary, sage, thyme, basil, cayenne pepper. So, even if you can’t make it to Napa Valley, you could make your own spice rub with these basics.